Preheat oven to 350 degrees. In a medium size bowl, measure out all ingredients, and combine. It can be a bit of a wet, sticky mess, so I ended up wetting my hands and mixing with them to make it easy. 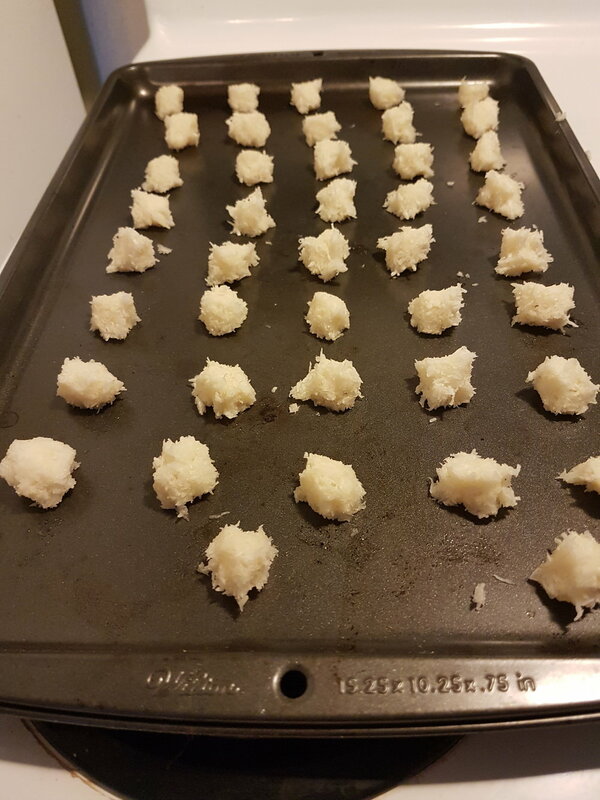 Drop small balls onto a greased or parchment lined baking sheet. My dogs are 4lbs, so my macaroons were tiny, about the size of quarter. Bake for 10minutes, or until they start to turn a light golden color. Transfer to wire rack, and refrigerate for an hour or so. Makes 36 tiny macaroons. My dogs love them, and I can't stop snacking!